The Piaggio Aero P180 Avanti was born 25 years ahead of its time. 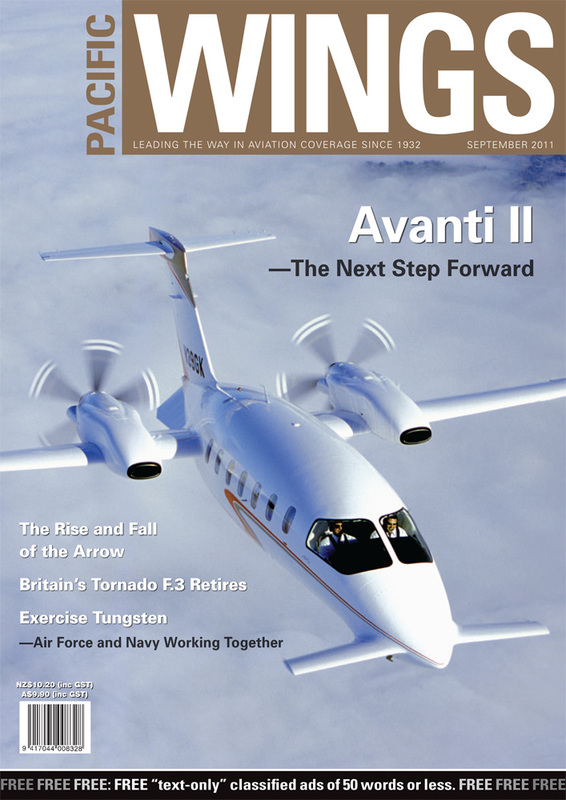 Today, quarter of a century later, the time has come for the Avanti II—still the world’s fastest civil turboprop and still its greenest business aircraft—to step forward and claim the recognition it deserves. Rob Neil reports. Peter Cooper was at RAF Leuchars to witness the retirement of the F.3 Air Defence Variant of the Panavia Tornado from RAF service. Peter provides a summary of the type’s history accompanied by some wonderful images taken during the type’s proud service for the UK. One of a number of regular exercises undertaken by New Zealand forces, Exercise Tungsten sees the RNZAF and Royal New Zealand Navy working together to hone their individual and combined skills. Rudi van der Zwaal accompanied No. 5 Squadron to witness Exercise Tungsten first hand. In this article, Alan Reynolds tells the sad story of the promising Avro Arrow, which, just like the incredibly promising TSR2, was doomed—not by technical failure but by blind political stupidity—never to see operational service. Rob Rich reports that as China begins opening its airspace to civilian aviation, now is the perfect time for the rest of the world to capitalise on helping the country expand and train its emerging helicopter SAR and HEMS industry.